Hiring a marquee in winter may not be top of your to do list, but a winter marquee is certainly worth considering if you have a milestone birthday, anniversary, wedding or party planned during the chillier months. Hiring a marquee is about wanting to create something unique, special and individual – but it still needs to be fit for purpose. We’re often asked about the viability of winter marquee hire and we understand the concerns. Will the marquee be cold? Will it be damp? What if it’s windy or rainy? What about muddy fields or back gardens? We’ve been creating marquee venues since 1980 and over the years we’ve developed the best techniques for ensuring that our winter marquees are kept warm, dry, cosy and comfortable -100% fit for purpose. Floor vented heaters keep our marquees lovely and warm, carpet covered boarded flooring keeps the damp at bay and Inside Outside’s winter marquees are wind rated for gusts of up to 80mph. We’re creating temporary venues, not drafty pop up tents. Add some beautiful, warm lighting inside the marquee and external lighting to garden features, trees and buildings and your winter marquee becomes an enticing and exciting place to be. Entrance marquees, covered walkways and wooden or matted pathways all help to keep guests warm and dry, dress hems and trouser legs mud free and lawns protected. House extension marquees are a popular choice across the winter months. When back gardens aren’t available for the spill over from a family party or large gathering of friends, why not add a marquee extension to the back of your house? Marquee house extensions can be used in a variety of ways. They are versatile structures that attach to the back of the house to create an extra room. The marquee is seamlessly joined to the house with guttering between the two to keep the rain at bay. 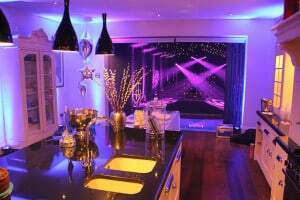 A house extension marquee can be used to create extra dining space, a night club area or space to simply chill out and relax. 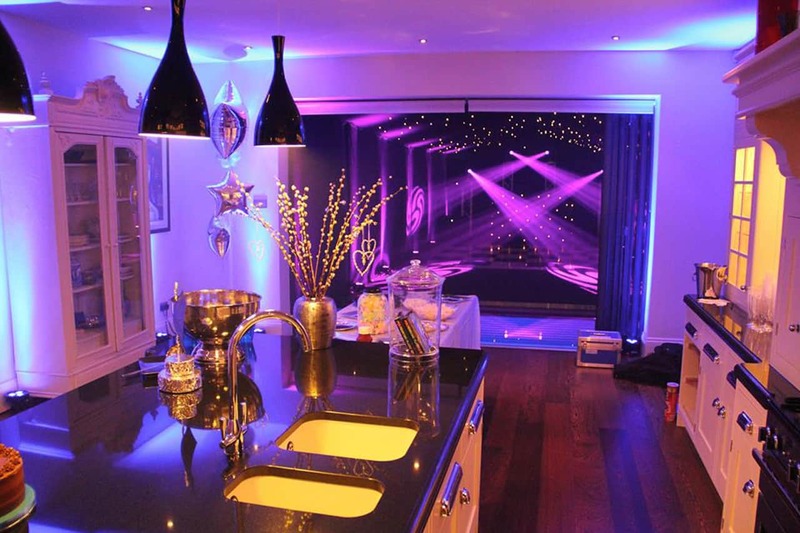 Using a marquee in this way allows you to use your home to entertain larger parties by creating a stunning additional area that will blow your guests away. Marquee heating and lighting, coupled with boarded and carpeted flooring means that this type of winter marquee is hugely popular with clients whose birthdays fall in the colder months. 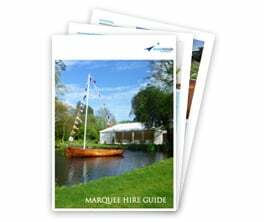 Speak to us about winter marquee hire, we’re always happy to office assistance and advice.